We have an ongoing internship/mentoring program for artists. Our intern may work and study in the ceramic studio at Still Mountain Center for one or two years. They learn artistic skill, attitude and aesthetic, develop artistic and professional relationships, learn the relationship of the artist to the art gallery, art dealer and the community - in preparation for a successful career as an artist. They are also influenced in meaningful ways by visiting artists that come during the firing and other times in the year. Still Mountain Center has introduced emerging artists to professional artists, as studio assistants, for further development of their artist careers and life long meaningful friendships in their field. We have introduced artists to artists to collaborate together in many ways. 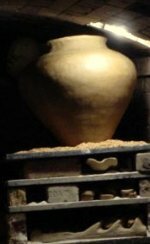 Some ceramic artists have come year after year to participate in and learn about the wood firing. We are a peer mentoring group as we work together in the intense week long firing and other projects. All of us learn from each other about how to live our lives as artists.